Get instant access to a lot of relevant information about Winnipeg, MB real estate, including property descriptions, virtual tours, maps and photos. 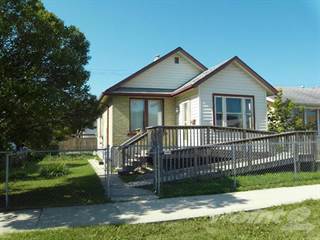 Point2 Homes gives you far more than a simple list of cheap houses for sale in Winnipeg, MB, as the search results pages also have a lot of information on Winnipeg, MB, right below the listings. Among the deep filtering functions on Point2 Homes, you can use Winnipeg, MB real estate prices, square footage, amenities and many other criteria to help narrow down your search. Price drops are another feature at your disposal, which can be especially useful when you’re looking for cheap houses or cheap condos. 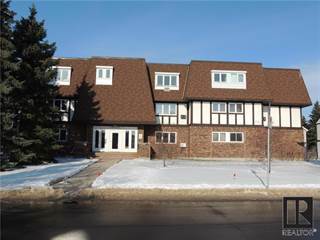 Use the map view to find Winnipeg, MB cheap homes for sale, based on city features or amenities that you may want close by. You can close in on a specific neighbourhood or area by simply drawing around it with the polygon or radius tools. Never miss an opportunity for a cheap home, by saving your searches. This way, you get new listings in your inbox, daily or every week, based on your preferences and your budget. If you’d like to get in touch with a professional, agents are displayed next to their listings, and they’re easy to contact through the online forms or directly by phone – all their contact information is displayed. If you want more options in terms of professional advice, you can click the Tools tab and Find an Agent, and you’ll get a list of helpful and knowledgeable real estate agents in Winnipeg, MB. Visit the Point2 Homes blog and you can find up to date expert advice on many markets throughout Canada, regular market reports, neighbourhood scoops in cities throughout the provinces, best deals for cheap homes, and other useful recommendations. Located on the edge of the Prairies close to the longitudinal centre of North America, Winnipeg is Canada’s seventh most populated city with a population of around 705,000. Covering an area of 464,000 sq.km, geographically, Winnipeg is fairly flat and is surrounded by parks and lakes, with 4 rivers running through the city. The Manitoba capital enjoys a humid continental climate, meaning the city experiences a warm but short summer, and a long and cold winter. Winnipeg is the second sunniest city in Canada; however, it is known to have snow on the ground for as many as 132 days of the year. Winnipeg has a very interesting history and it was once a fur trading post back in the 1700s. Nowadays, the city enjoys a thriving economy with the public sector and government institutions being major employers. It’s also referred to as the “Gateway to the West”, and has great transport and railway links, which contributes to its strong economy. The city is home to over 25 Historic Sites, and is very rich in arts and culture. Winnipeg has a number of sports facilities and teams, hosts various festivals, is known for its great food and performing arts, and has 3 Universities. Its population is diverse, made up of large English, Canadian, Scottish, Aboriginal, German, Ukrainian, Irish, and French communities. Popular areas in Winnipeg include: Assiniboine, Fort Gary, Inkster, River East, Seven Oaks, Downtown Winnipeg and Transcona. Winnipeg enjoys a fairly strong and balanced real estate market, and saw an uplift of around 3% compared to the previous year. Compared to the rest of Canada, housing in Winnipeg is extremely cheap, and it’s possible to find a single-family detached home for as little as $200,000. This is a stark contrast to areas such as Vancouver, where the benchmark condo price is $600,000. Millennials and first-time buyers are key drivers in the market, due to good employment levels and affordability. Move-up buyers are opting for larger more expensive properties within the $400,000-$600,000 region. The inventory consists of both new developments and resale properties. In terms of condos, young professionals are opting for multi-unit properties in the Downtown area, whereas retirees are opting for condos in more suburban regions in a bid to downsize. Since housing is so cheap, many young professionals are turning towards homeownership and away from renting, as mortgage repayments can be comparable to rent, which has resulted in higher than normal vacancy rates for rental properties. However, this is expected to change in the coming years as more migrant workers move in and seek out rental units. Winnipeg’s housing prices have remained fairly unchanged, with detached homes being very cheap especially for first-time buyers. Winnipeg has been fairly insulated from the huge price increases that other areas of Canada have been experiencing. East Kildonan is very affordable, with the average price sitting at $164,000, while other areas such as Polo Park, Sargent Park, and West End are priced at around $205,000. Osborne Village is a great area for homebuyers looking for a quaint New York-style area in the middle of Winnipeg, with larger-than-average homes that sell for around 70% of what they sell for in other neighbourhoods, averaging around $260,000. Winnipeg boasts a number of properties that offer cheap housing, all under $300,000. The market has seen a large number of new developments which has kept housing prices quite low, as supply outweighs demand. Low interest rates favour buyers looking for cheap real estate in Winnipeg, and a number of new developments are in the works. Winnipeg’s Downtown area is affordable and very desirable, with amenities at your fingertips and within walking distance, which is perfect for millennials and young professionals. Outside of Downtown, there is a variety of older builds so there is a mix of inventory to fit all preferences. Winnipeg’s housing prices have remained fairly unchanged, with detached homes being very cheap especially for first-time buyers. Winnipeg has been fairly insulated from the huge price increases that other areas of Canada have been experiencing. East Kildonan is very affordable, with the average price sitting at $164,000, while other areas such as Polo Park, Sargent Park, and West End are priced at around $205,000. Osborne Village is a great area for homebuyers looking for a quaint New York-style area in the middle of Winnipeg, with larger-than-average homes that sell for around 70% of what they sell for in other neighbourhoods, averaging around $260,000. 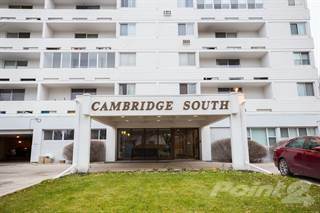 Winnipeg boasts a number of properties thatoffer affordable housing, all under $300,000. The market has seen a large number of new developments which has kept housing prices quite low, as supply outweighs demand. Low interest rates favour buyers looking for affordable real estate in Winnipeg, and a number of new developments are in the works. Winnipeg’s Downtown area is affordable and very desirable, with amenities at your fingertips and within walking distance, which is perfect for millennials and young professionals. Outside of Downtown, there is a variety of older builds so there is a mix of inventory to fit all preferences. Read more about living in Winnipeg, Manitoba.